Lord, sometimes I blunder about without a clue. I’m feeling pushed around by life, with no control or sense of where to go or what to do. Life is happening around me and to me and some days, I haven’t a clue what I should do, because all the pressures and demands of life are overwhelming. Life feels hard. And we’re supposed to be faithful and seek God’s will on top of the daily here-and-now pressures—it can all certainly be overwhelming. The way Jesus teaches is kindness—true kindness, summed up in the first and greatest commandments: love the Lord your God and love your neighbor as yourself. When I was in high school, the above quote was the first (and only) I memorized because I was moved by it, and found it simple. Kindness in my eyes and smile? Not a problem. I wasn’t a particularly cranky or angsty teen, so I thought I had this all figured out. Then came college. Jobs. Relationships that lasted longer than four weeks. I’m also a wife and mother, so let me tell you, these words from Blessed Teresa and the Psalmist, giving us a clue as to how to live the greatest commandments? Ladies, they are hard. I think the more adult I become, the harder it is to be kind! If I’m not careful, sooner than later I could become a cranky old lady with a constant scowl. That’s not the way of the Lord, though. 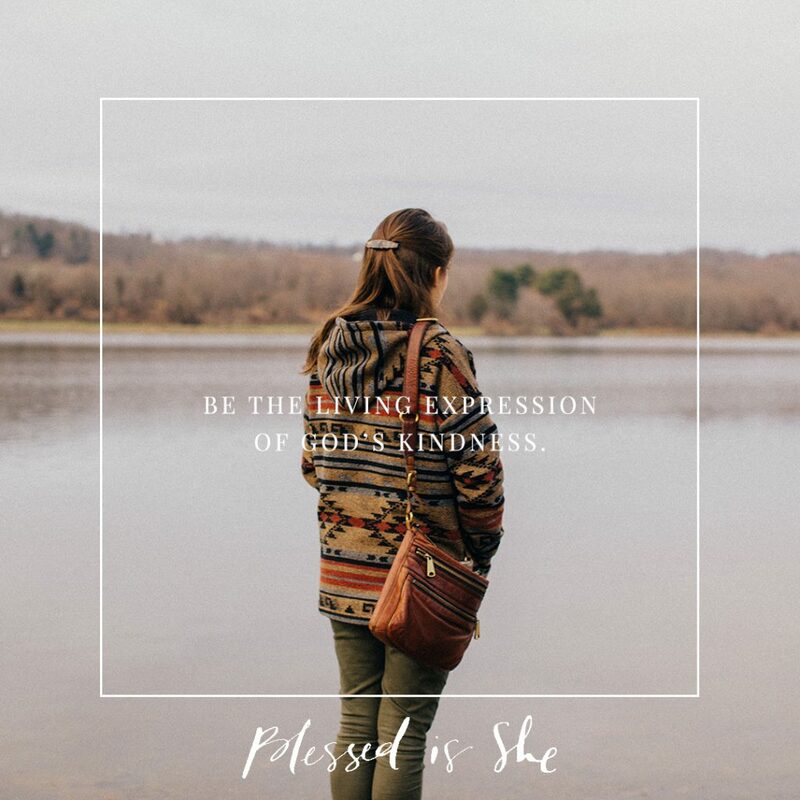 Even—and especially—on the hardest days, the days that seem like nothing goes right and I haven’t a clue in the universe what God’s plan is, He still wants my kindness. My love in action. This is His will, that we love and live with kindness in every action, to show Him to the world. No matter what, He still wants my kindness. My love in action. Where can you practice great acts of kindness in your life?